We should consider launching a website / landing page dedicated to our app. It is an essential part in app marketing and customer interactions. An app with a website / landing page definitely looks better in a customer perspective. Some of the benefits of having an app website is listed below. Get direct feedback for your app from users. Users can start discussions about the app in the website. Build social activity for your app. A landing page serves as the hub for all information about your app. You can share the website URL for your prospective customers as a single resource. No need to share iOS, Android etc separate. You can present whatever content you need in the app website. App store / Play Store page content has its own limitations. Keep all your social profiles in a centralised space so your users can follow and interact with them. A custom URL needed for high level app marketing processes such as Press Release, App Reviews in big websites etc. A landing page will help in ASO process too using some SEO benefit of the web page. A valuable back link for all your app versions. 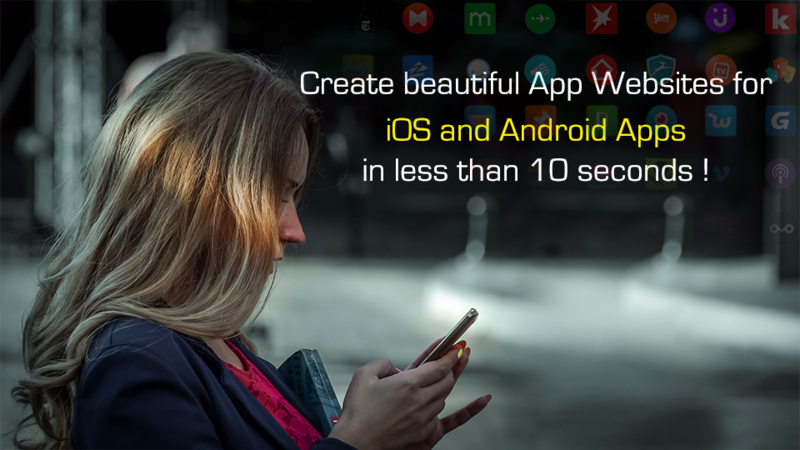 Provide deep information about your app such as Detailed app features, Detailed app benefits, How it compares to other apps, Company profile etc. You can display customer testimonials in the website. So, the next question is how can we create an app website really cheap? Marketing the app directly is our primary focus and it is not wise to spend so much of money for an app landing page. There are many website builders available. Some of them are app specific. The major advantage of app specific landing page builder is , they will synchronize store content and images automatically from App store / Play store. Here is the cheapest option to create an app website in custom domain (I believe). The price is just $3 / month. You have a free plan also, but you cannot link your custom domain in free plan which is not recommended for serious app marketers. You have to purchase domain name from any domain sellers. It will cost something around $10 / year. I recommend name.com for the purpose. In short, you can get a beautiful website within $50 / year (All including domain, hosting and design) and the most important thing is, we can create basic version within seconds. A more detailed version can take few minutes extra to set up completely. Here is an example website created using this service. Please suggest in comments below, if any better alternatives available in market.